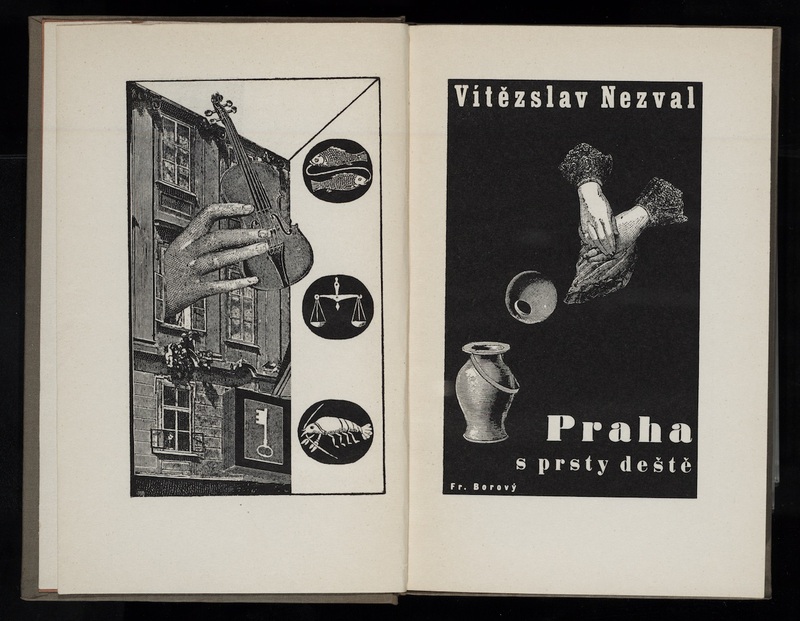 The founding of the Republic of Czechoslovakia in 1918 also led to a cultural renaissance in the region, with a desire to create a distinctive Czech culture spurring decades of artistic experimentation and creativity. 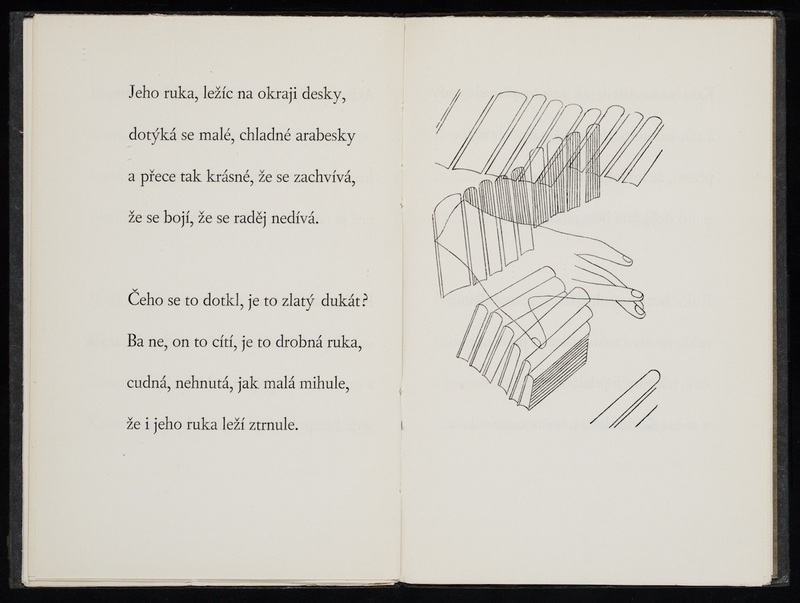 One medium many Czechs chose to explore as a platform for thinking about a national type of art was the illustrated book, with covers and pages providing ample space for expression. 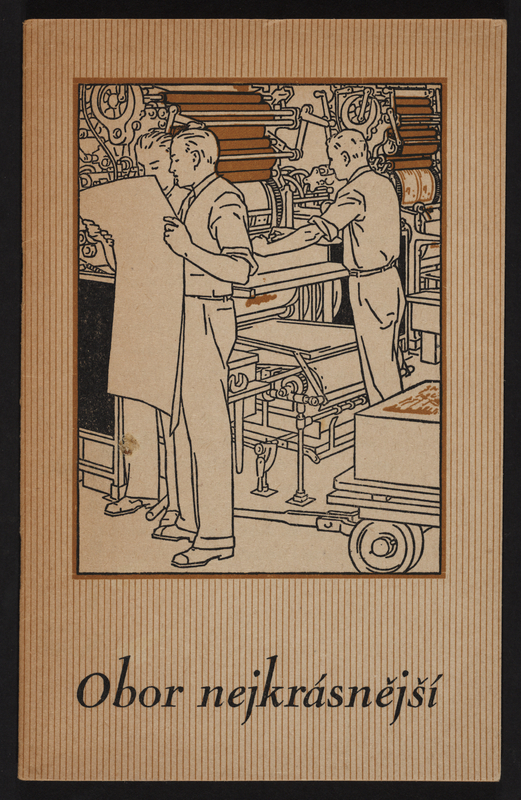 Local publishers printed original works that were the results of close collaborations between writers, editors, illustrators, typographers, printers, and even paper and ink manufacturers so that the final results were objects that celebrated craftsmanship right at home. 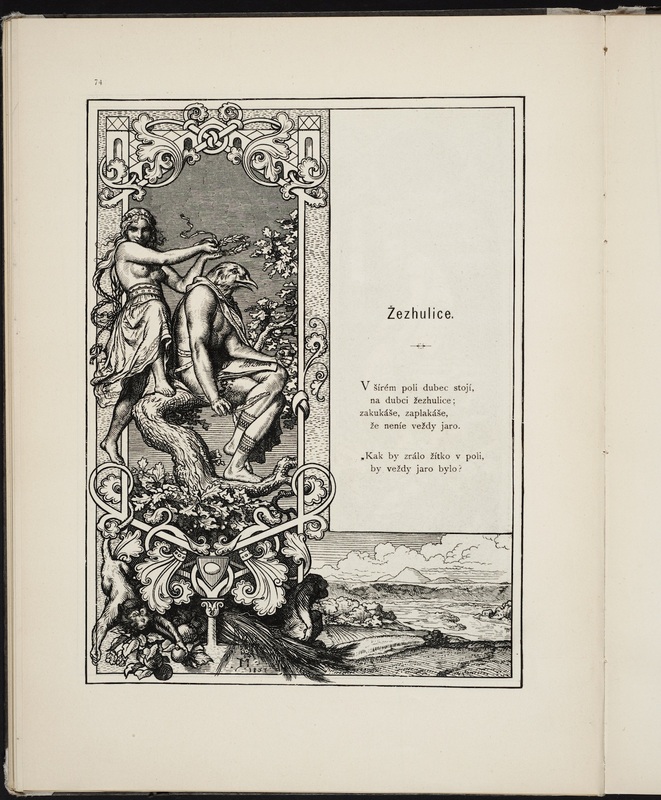 Maximum Imaginativeness: Modern Czech Book Design, 1900–1950, currently on view at the University of Toronto’s Thomas Fisher Rare Book Library, traces the development of the modern Czech book during the first half of the 20th century through books and journals from the library’s own collection. 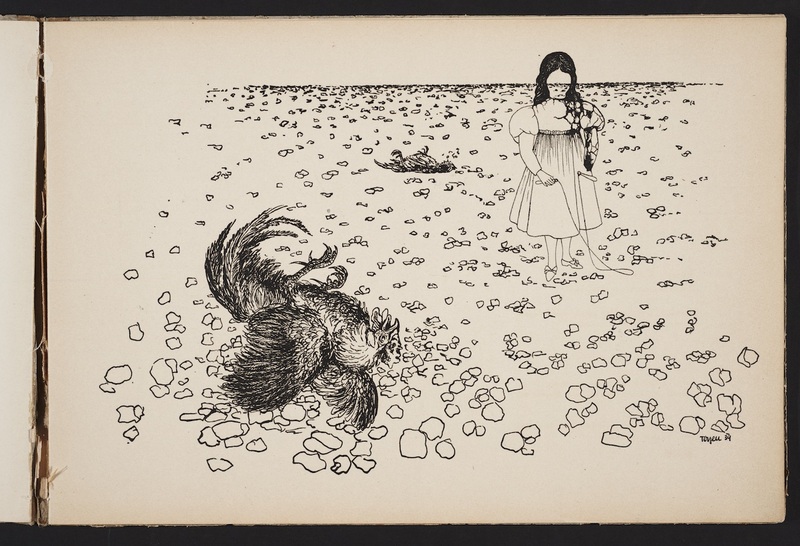 The exhibition spans the years leading up to the Czech national revival until the German occupation of the region during the Nazi regime. 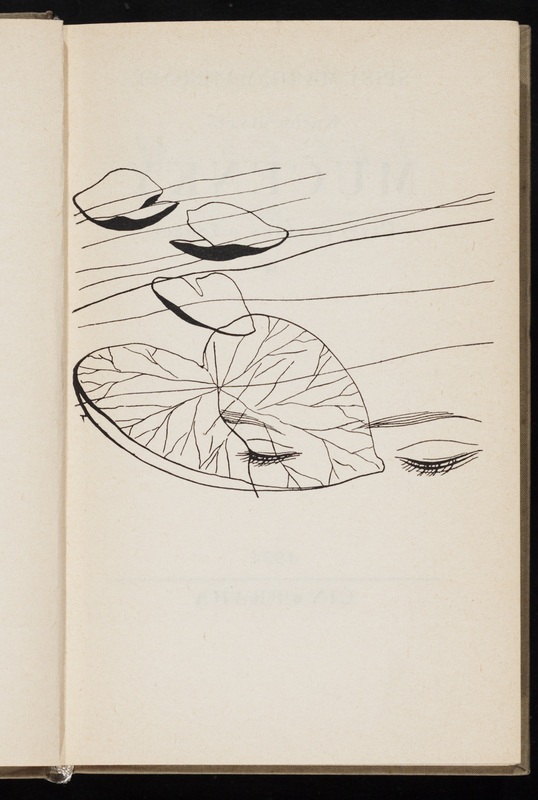 The period between those events, as curator Ksenya Kiebuzinski describes in an accompanying catalogue, gave rise to a whole series of “-isms” as artists took an avant-garde approach to designing books: such movements included Expressionism, Futurism, Constructivism, Surrealism, and Poetism — a local development concerned with “the art of being alive and living life.” The exhibition’s title comes from a 1927 essay about another “-ism” — Artificialism — penned by its two associated artists, Jindřich Štyrský and Toyen (born Marie Čermínová), who explored the relationship between art and reality. 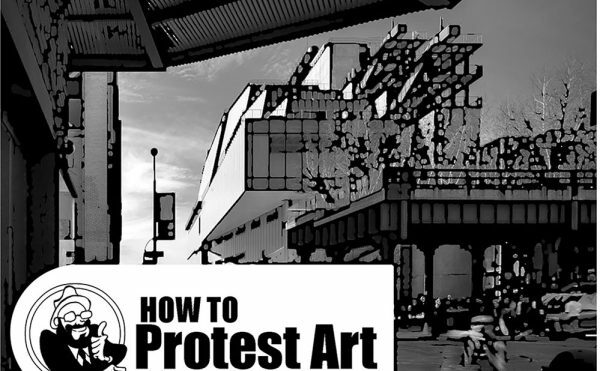 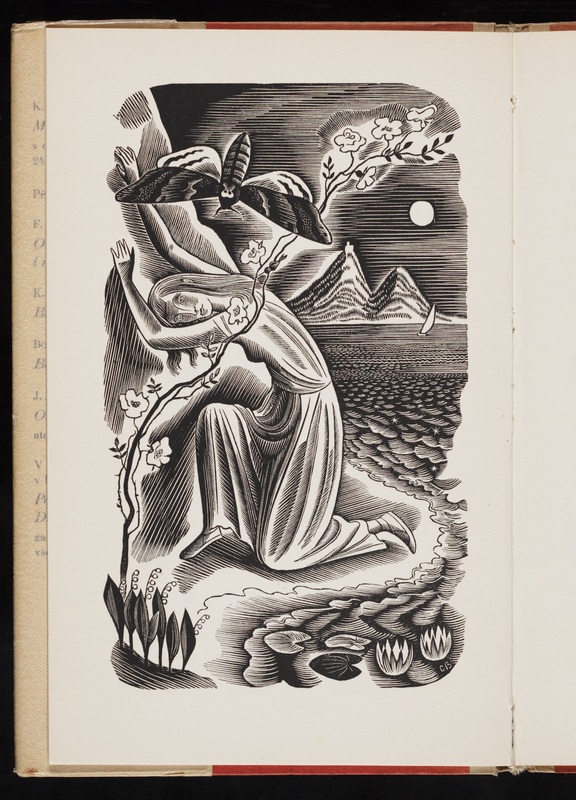 The works in the show are consequently incredibly diverse, suggesting the myriad ways artists challenged the traditional appearance of the book in their attempts to shape and promote a certain national identity. 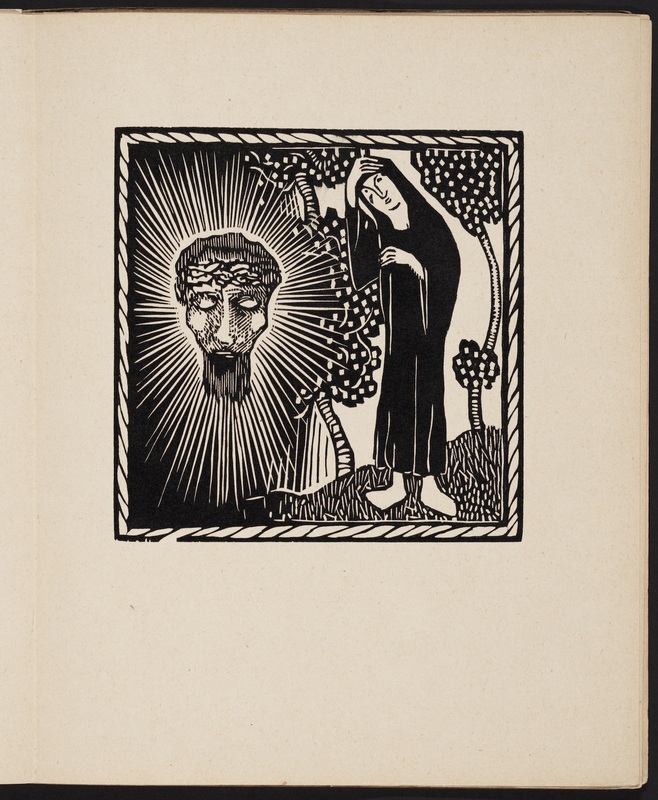 One popular trend during the turn of the century was to embellish literature with elaborate, local ornamentations that were mostly Romanesque in style, as exemplified by Josef Mánes’ illustrations in a manuscript of 13th- and 14th-century Bohemian poems and songs. 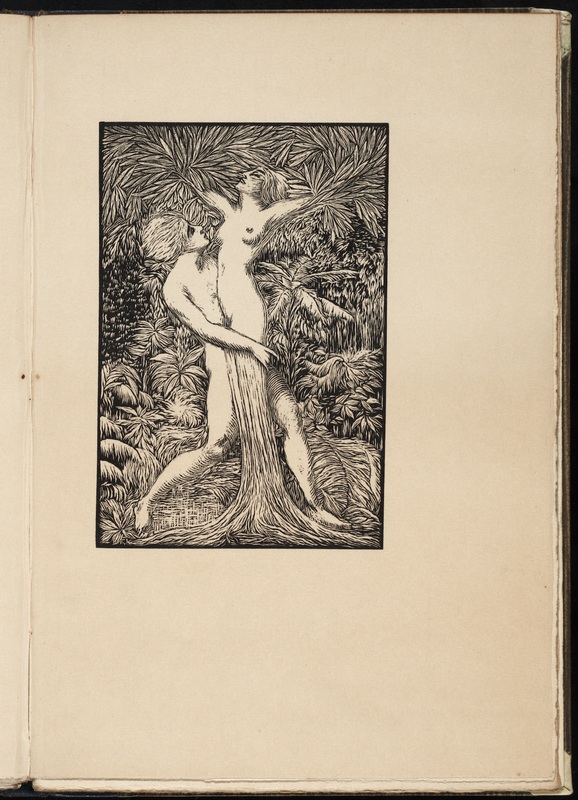 Floral motifs also became popular Czech symbols, leading to many flora-filled illustrations such as an intricate woodcut by František Kobliha that gracefully captures the metamorphosis of Daphne into a tree, as told in the myth of Daphne and Apollo. 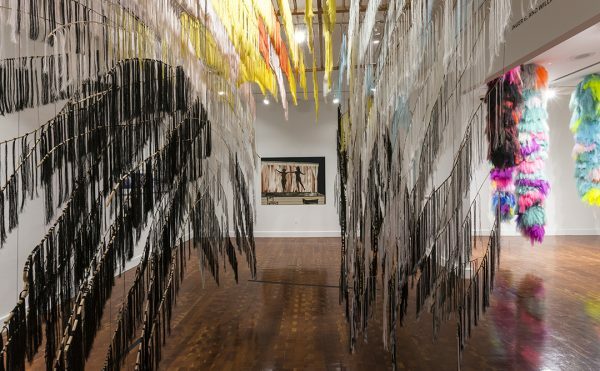 However, artists later dismissed floral and other ornate symbolism as medieval decorations, especially as Czech culture was increasingly exposed to foreign influences that fueled widespread experimentation. 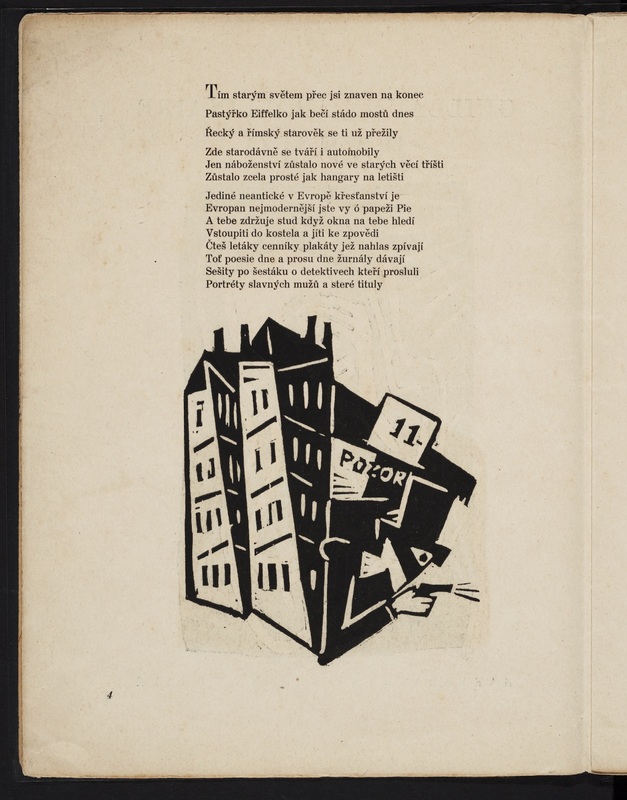 Cubism and collage heavily influenced the artist Josef Čapek, who spent time in France and later produced geometric, simplified illustrations, such as one creative integration of a thief with a block of buildings for Pásmo (1919), a collection of poems by his friend Guillaume Apollinaire. 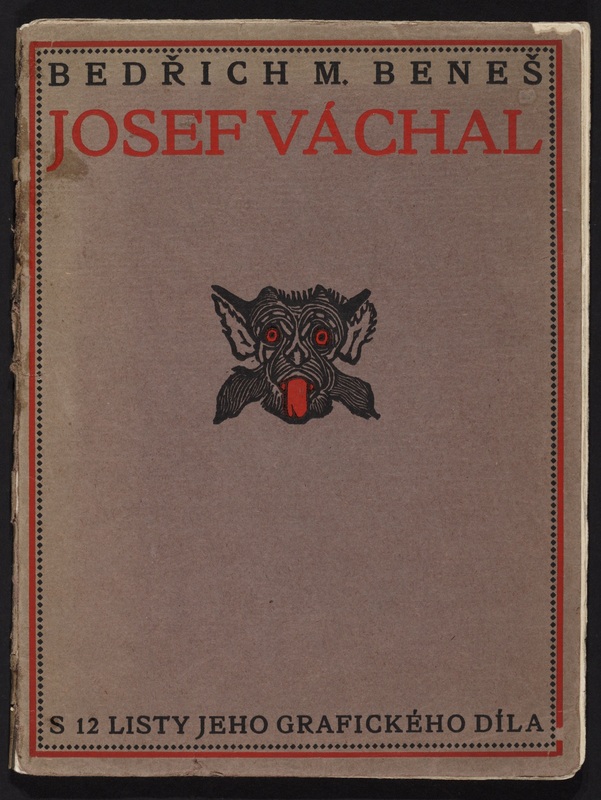 One of the period’s most creative visionaries was Josef Váchal, who was heavily inspired by the occult and the unseen. 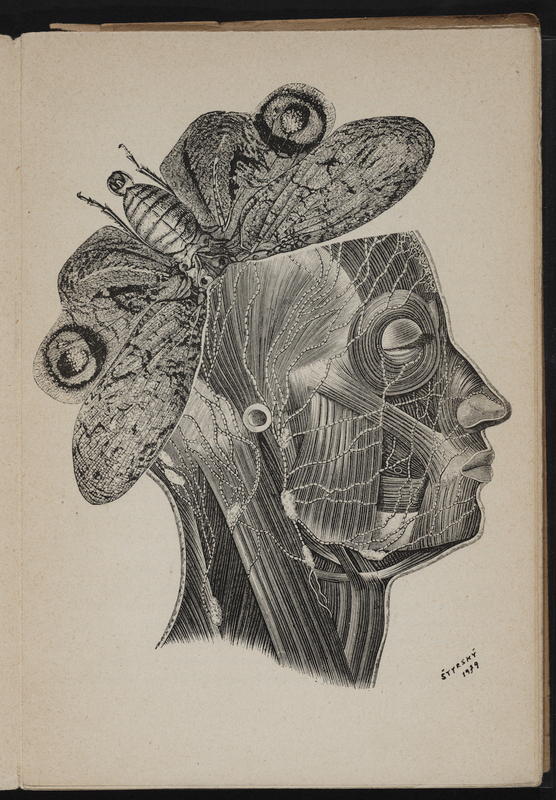 Váchal himself often participated in séances and was even later suspected by his contemporaries of being possessed. 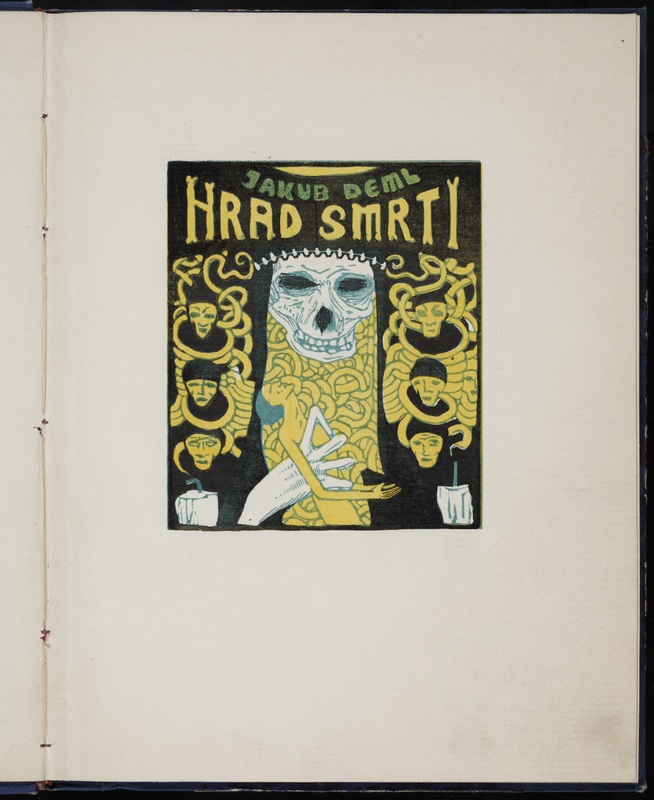 A stark contrast to the delicate decorations of the late 19th century, his woodcuts often featured supernatural and grim imagery such as his frontispiece for Jakub Deml’s prose poem “Hrad smrti” (“Castle of Death”), a colored image showing the castle as a skull that clenches the body of the unfortunate protagonist. 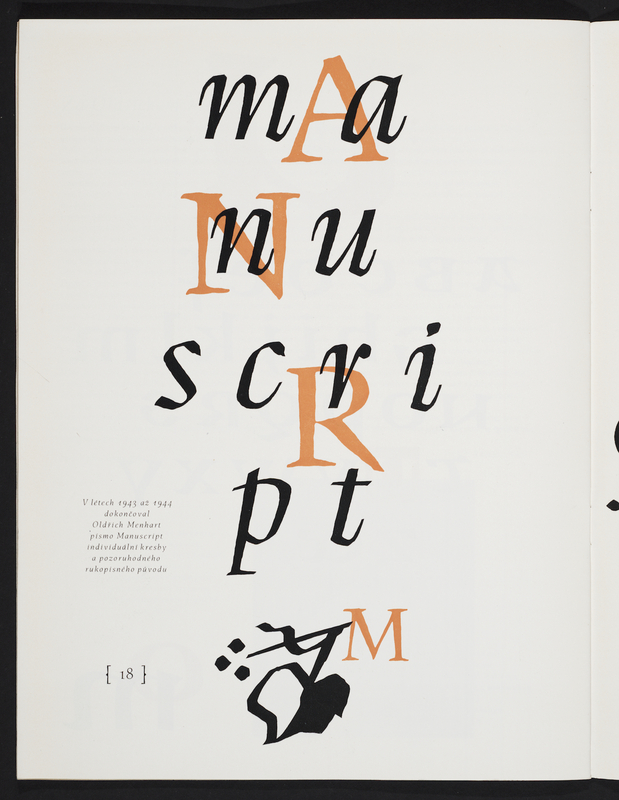 Also experimenting with such abstract visuals were the founders of Artificialism, Štyrský and Toyen, who drew upon dreams and memories in their creations. 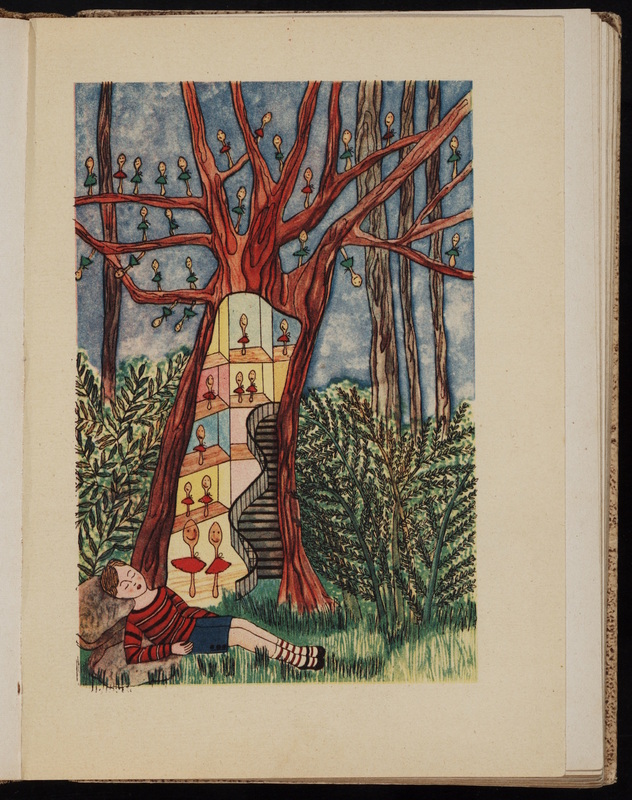 Art made by hand soon grew out of favor with new technological developments beginning in the late 1920s; some found the decorativeness of beautiful book illustrations extravagant, preferring to shape the appearance of books with bold and often stark photomontages. 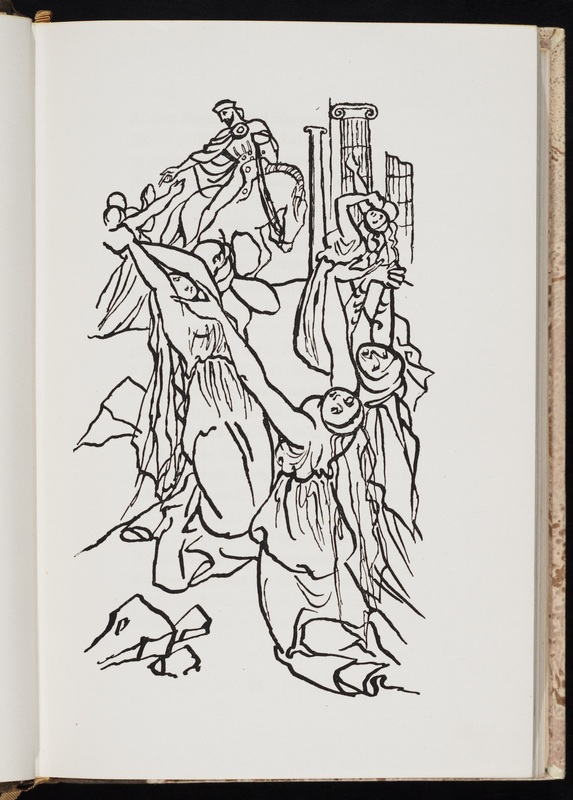 But the spirit of the avant-garde was quelled by the Nazi occupation of Czechoslovakia beginning in 1938, when literature came under tight control — and was not revived with much freedom following the war with the Communist coup d’état in 1948. 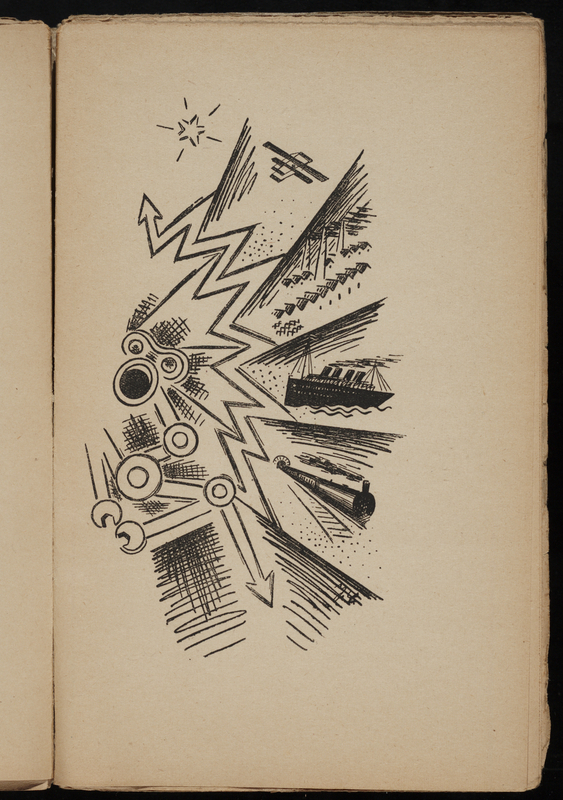 Much more than just texts, the books that emerged between the world wars represent an era of the unrestrained Czech voice. 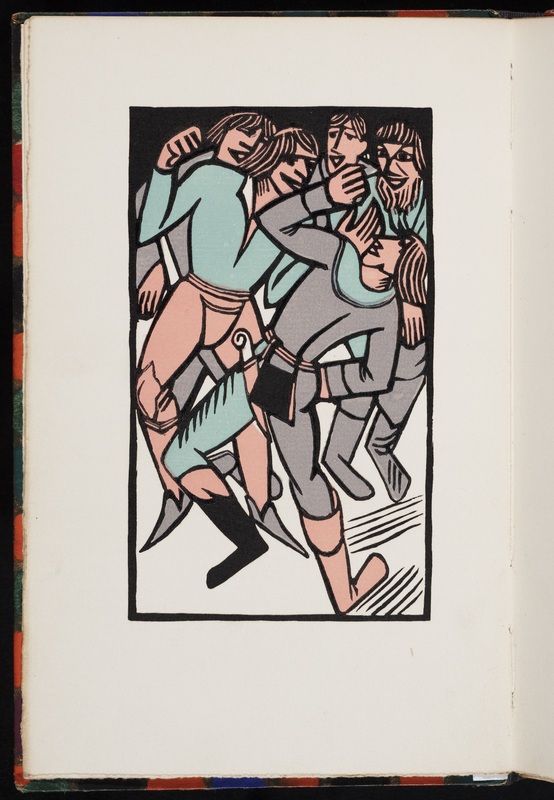 Maximum Imaginativeness: Modern Czech Book Design, 1900–1950 continues at the University of Toronto’s Thomas Fisher Rare Book Library (120 St. George Street, Toronto, Canada) through December 18.